As third generation California farmers, it has been our desire to provide the same, high-quality walnuts directly to you, the consumer that we enjoy in our home. The walnuts we sell are produced only by our family, and are an excellent, heart-healthy snack and food product. Enjoy them plain, with other foods, or as a tasty snack in a variety of flavors. We invite you to explore our site, as well as learn about our family history and the Wood Colony area. 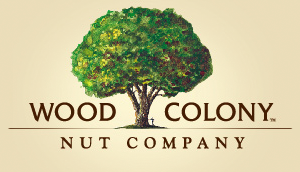 Learn more about the illustrious past of Wood Colony today. First walnut tree planted in Stanislaus County. Planted in 1904, it is now over 100 years old. It is the largest walnut tree in Stanislaus County. 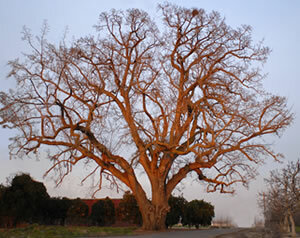 It's currently considered to be the largest walnut tree in the state of California. Measurements of this tree: Over 100 feet tall and 28 feet in circumference.